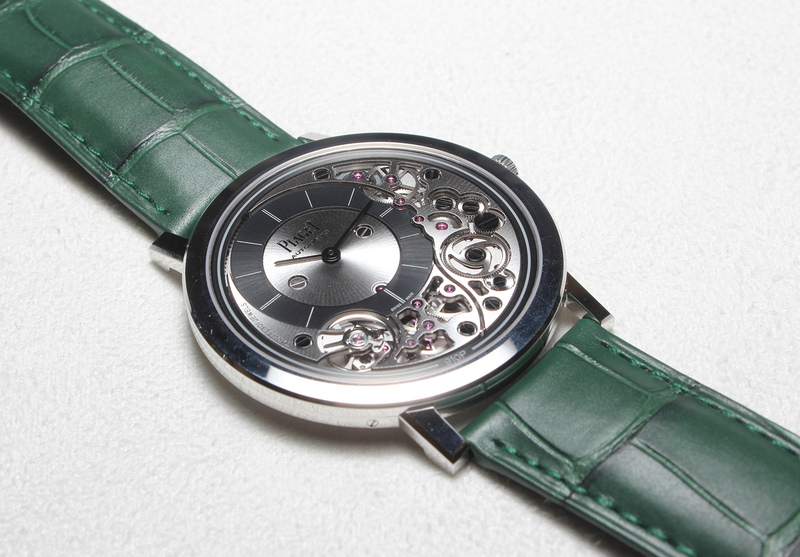 Watchmakers are rushing to outdo each other in the slimness stakes. 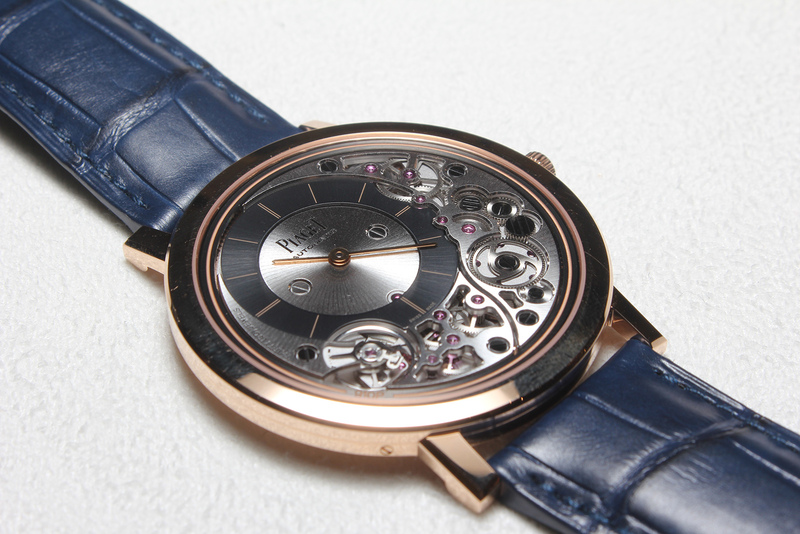 Less than a year after Bulgari had introduced the world’s thinnest self-winding watch that checked in at 5.15mm – just a gossamer 0.1mm thinner than Piaget’s previous record holder – Piaget has reclaimed the record with the Altiplano Ultimate Automatic, an offshoot of the world’s thinnest hand-wound watch. 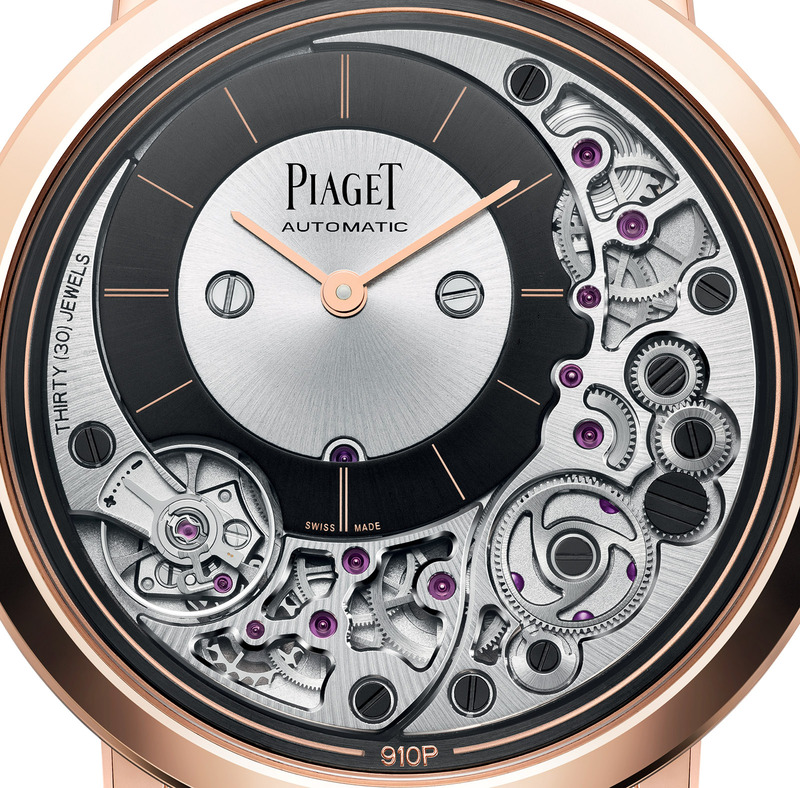 Scheduled to be officially launched at SIHH 2018, Piaget’s latest trumps the completion by just a shade under a full millimetre, which is actually a fifth of the entire height of the watch, and as its name implies, might just be the be-all and end-all of ultra-thin watches. The first half of the technical solution in that achievement is a familiar one. Like the hand-wound 900P, the cal. 910P in the Ultimate Automatic makes use of the case back to support the movement parts, forming an indivisible unit totalling a thickness of 4.3mm. 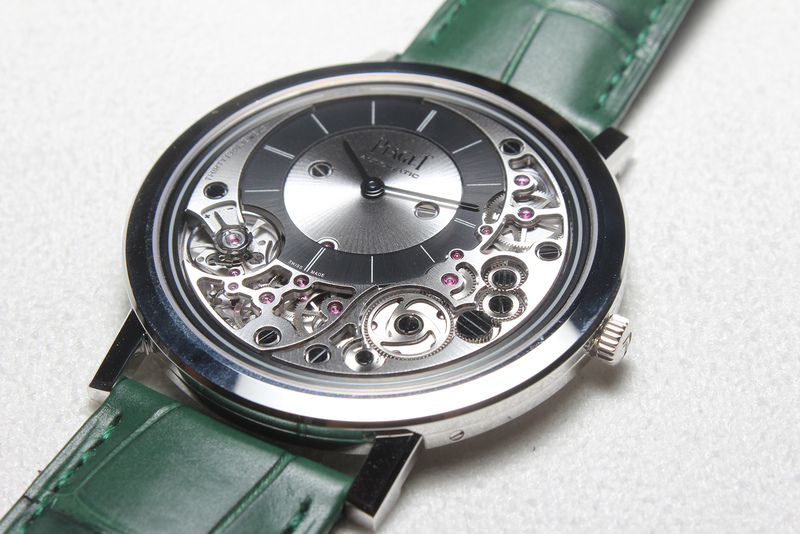 The gears and pivots of the movement are mounted directly on the case back, eliminating the need for a main plate as in conventional movements, effectively shaving off an extraneous layer. Consequently there is no movement per se to be measured. It is just one very, very thin watch. The off-centre dial is positioned on the space between the bridges on the front, and the entire gear train occupies the arc surrounding the dial, so everything from the ratchet wheel to balance wheel is visible. Certain wheels, including the additional transmission wheel held by a pivot in the chapter ring, measure just 0.12mm high. And as with the 900P, further height is removed by simplifying the barrel. Instead of having a bearing at the top and bottom, the barrel is suspended from a single bearing on one end. The watch still manages a 50-hour power reserve nonetheless. The second half of the solution is a peripheral winding system, which eliminates the additional height of a conventional rotor. The narrow rotor is mounted around the edge of the movement, incorporating itself around the movement rather than adding to its thickness. To ensure sufficient inertia to fully wind the watch, it is made of 22k gold and is mounted on ball bearings. Lastly, the dial and hands are slightly recessed below the surrounding bridges. 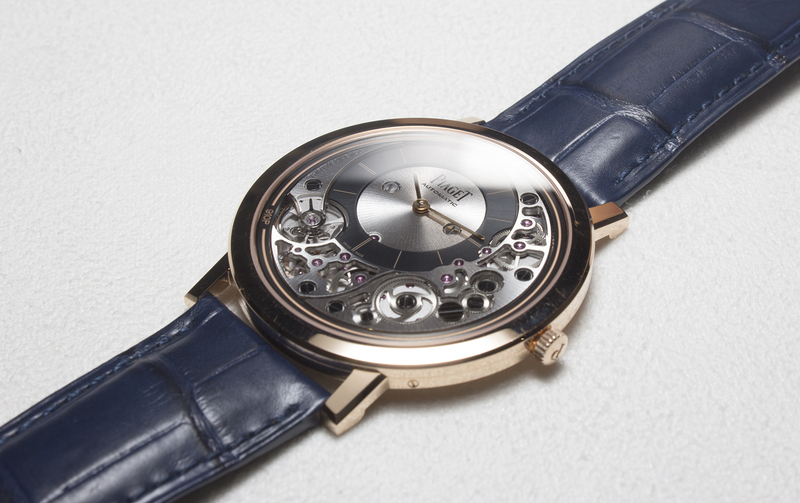 Thus when there’s any excessive pressure on the crystal, causing an ever so slight curvature in the case, the bridges around the dial protect the hands from coming into contact with the crystal. The watch has a moderately large diameter of 41mm, which compensates for its unnerving slimness, and is available in both 18k pink gold and white gold. The Altiplano Ultimate Automatic 910P in white gold (ref. G0A43121) will be priced at S$40,800, while the pink gold (ref. G0A43120) will cost S$39,200.